The food, family, friends, football, the food… nothing beats a delicious Thanksgiving dinner with all the trimmings. Our family takes turns traveling to either my side or Good Papa’s side for the big day. We’ll bring wine and help out in the kitchen, but, ultimately, my mom and mother-in-law run the show (they both do a fabulous job by the way). This year, in addition to spending Thanksgiving day with extended family, we are going to continue a “Friendsgiving” tradition started with close friends four years ago. Yep, two turkey dinners in one year! I think I’ll need to read over my tips to stay fit during the holidays. Friends are bringing some sides, but much of the cooking falls upon our shoulders. 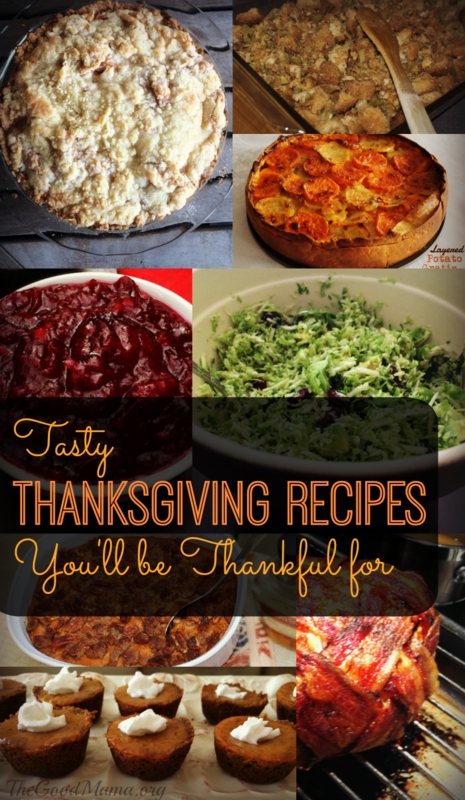 So, I’ve enlisted the help of a few blogger friends to share some mouthwatering Thanksgiving recipes you’ll be thankful for. 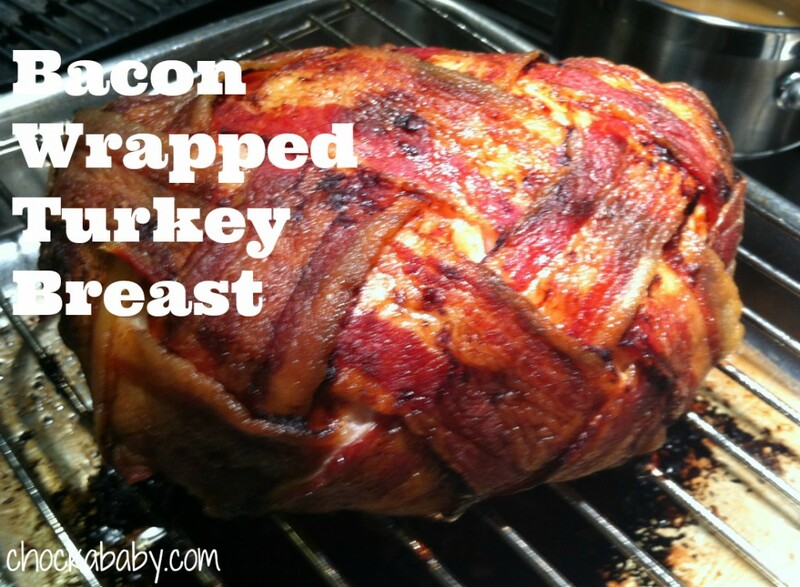 This Bacon Wrapped Turkey Breast from Chockababy is perfect if you are having a smaller gathering and don’t need to roast an entire turkey, plus BACON. Stuffing is the ultimate Thanksgiving food for me. When else is it socially acceptable to sit down and eat a huge bowl of bread? 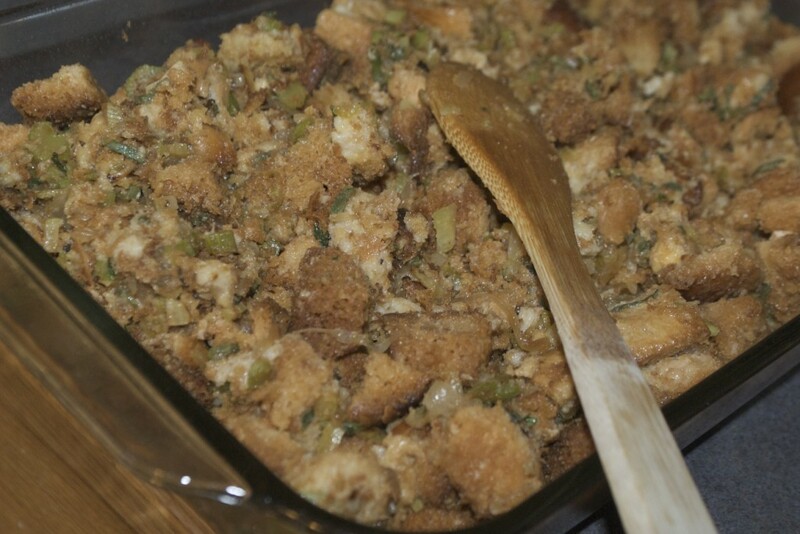 This fabulous stuffing recipe from How I Pinch a Penny has step by step directions with pictures so preparing my favorite dish is a breeze. I avoided sweet potatoes when I was little. It wasn’t until I woke up and realized how amazing they are that I started to prefer them over their white potato cousins. This Sweet & Spicy Sweet Potato Bake from Teaspoon of Spice is a perfect combination of sweet with a little added smoked paprika to give it some spice. 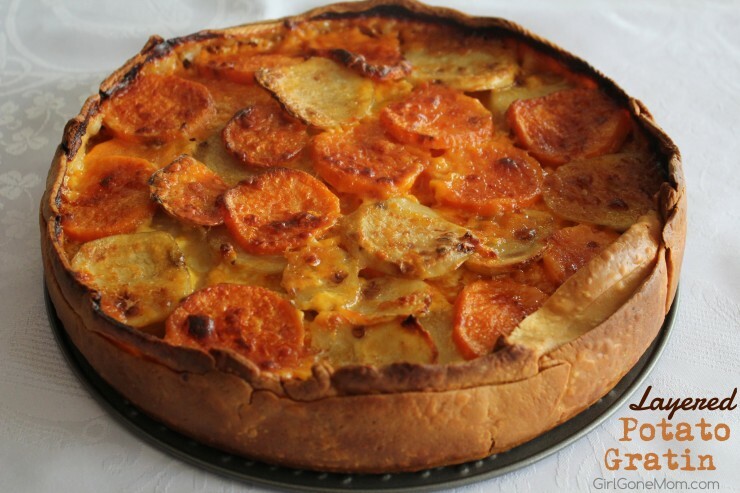 Are you having a difficult time deciding between sweet potatoes and white potatoes? Why not make both in one amazingly delicious dish! This Layered Potato Gratin from Girl Gone Mom is an elegant alternative to your standard mashed potatoes. So many Thanksgiving recipes are extremely labor intensive. It’s refreshing to see a recipe that’ll take no time at all and taste just as good. 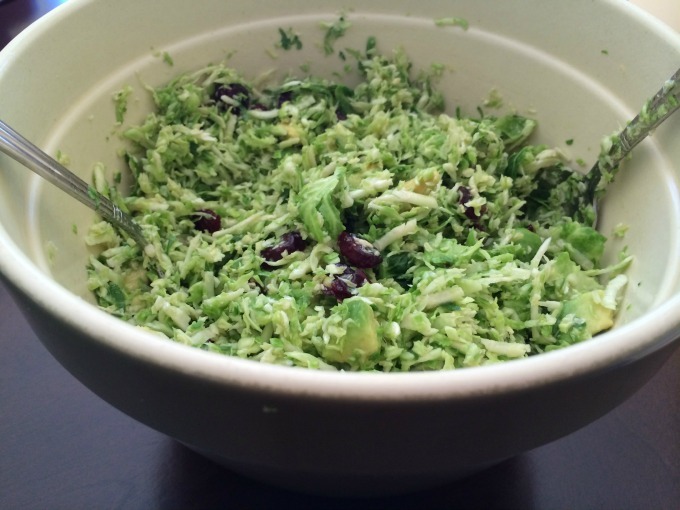 Shaved Brussel Sprouts Salad with Avocado and Cranberries from Vegging at the Shore is a nice compliment to all the heavier dishes on the table. Truthfully, I never touch the cranberry sauce. I think it looks pretty and all, but it’s just not my thing. This year I am determined to give it another try. 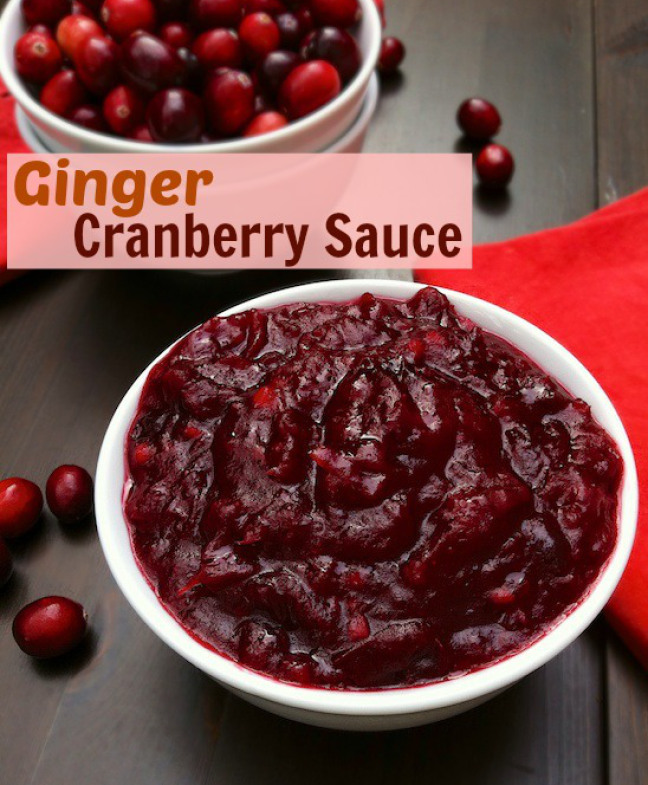 This Ginger Cranberry Sauce from Teaspoon of Spice sounds tasty enough to win me over! I am not much of a baker, but I am willing to learn. 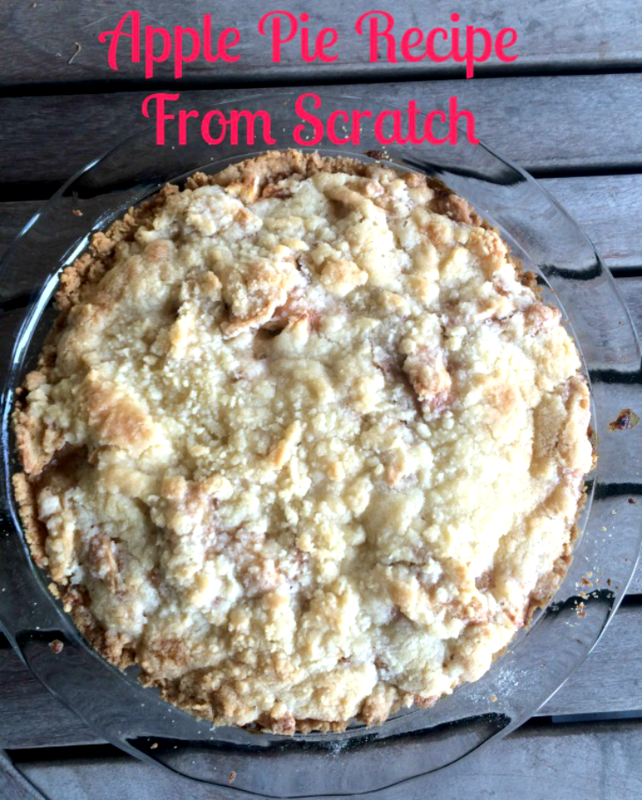 Apple pie was on my Fall To Do List, so I am going to give this Apple Pie Recipe from Scratch from NEPA Mom a try. 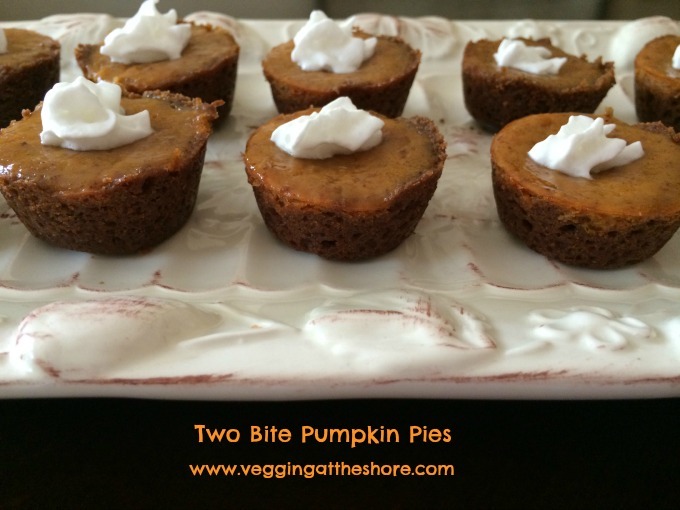 If my apple pie fails, at least I have these Two Bite Pumpkin Pies from Vegging at the Shore as a delicious back up. These bite-sized pumpkin pies are easy to make and simple adorable. Don’t forget the Thanksgiving decor! 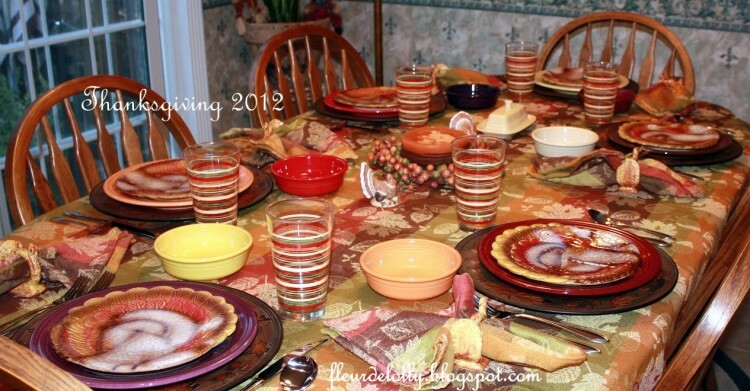 Check out some Thanksgiving Table Settings from Making Our Life Matter. 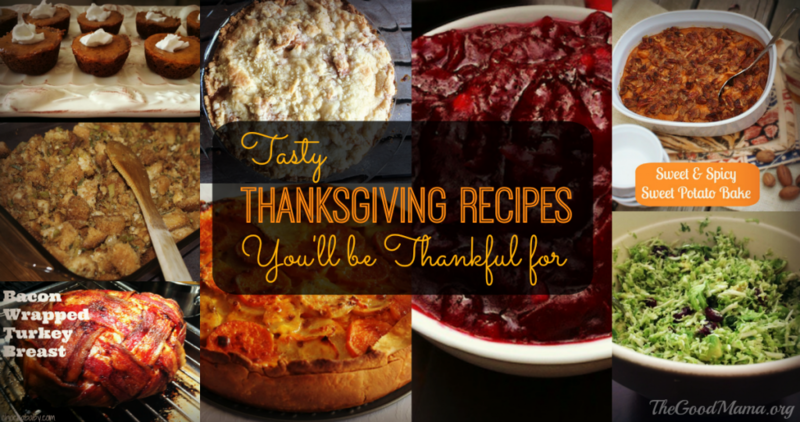 Do you have a go-to Thanksgiving recipe? Share it or your favorite dish to eat in the comment section below! Heather- Thank you! Your dish is beautiful and tasty! Yum! Can’t wait for Thanksgiving. Sweet potatoes are possible one of my favorite foods! My grandma always puts marshmallows on top, maybe that’s why I started to like them young haha. Can’t wait for the leftovers!! And gravy, my true favorite food! Oh my gosh! How many amazing different recipes can you pack into one post. I think you win. 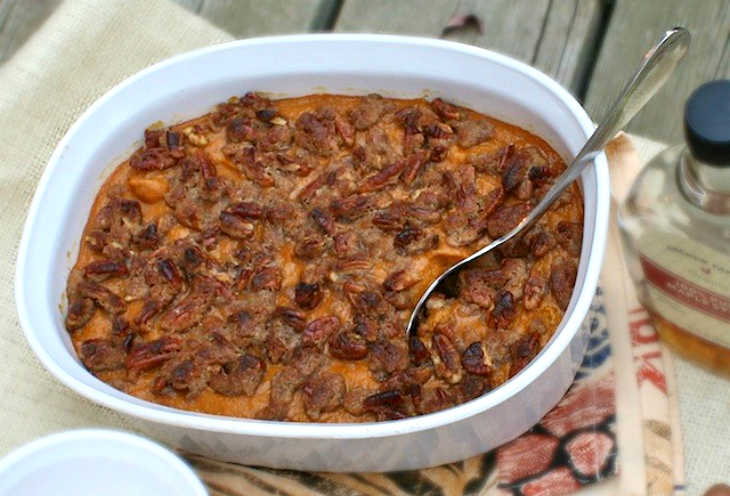 I am especially fascinated with the spicy sweet potato bake! That brussel sprout salad looks amazing!! Lauren- Doesn’t it? I love how easy it is to make too! Thanks for stopping by. My mouth is watering! Everything looks so good!! Nice job. Enjoy Turkey Day in your new home. Angie- Thanks! I know! I absolutely love that we are running the half marathon right before Thanksgiving. Can’t wait to see you! All those recipes sound amazing, and even though brussel sprouts are low on my favorite food list, that salad sounds so tasty. I think it will be nice to have a fresh, crunchy side dish to balance out all the heavy starchy things we all love. Have fun cooking and don’t forget the glass of wine that helps keep everything running smoothly, haha. MaryKay- I’m surprised you don’t like brussel sprouts more? I thought you did! They are so yummy. Yes, I think it’s nice to have something light on the table with all of the other really heavy, but delicious foods. Courtney- haha, I know! It was difficult to type this post out without getting all hungry. I can’t wait for Turkeyday! Everything looks amazing!! I want to try the ones I’ve never heard of like that slaw…and the ginger sounds great with cranberries. Thanks for sharing!! Wow!! Those dishes all look so gorgeous, and sound delicious!! I also love the photo of your 2012 Thanksgiving. Very pretty! What a great list of recipes. I pinned the Potato Gratin from Girl Gone Mom. Thank you! Great collection of recipes. Thanksgiving is my second favorite holiday.. sorry CHRISTMAS gal here. ;0) I gotta work on my menu though, thanks for these ideas.